The town of Salcombe lies beside the vast inlet called the Salcombe Estuary. The estuary was designated a Site of Special Scientific interest in 1987 and a Local Nature Reserve in 1992. Salcombe is the southernmost town in the South Hams and one of the most southerly towns in England. The town itself is an attractive place with plenty of shops, restaurants, cafés and pubs to suit all tastes. From Salcombe you can take the ferry across the estuary to East Portlemouth which is an excellent stepping stone to a variety of lovely sandy beaches and scenic walks towards Start Point. You can also take the Rivermaid ferry up the estuary to Kingsbridge, a pretty market town with many shops etc. The South Sands ferry will take you down the estuary towards the sea and deliver you to the beach. (This runs from May to September). 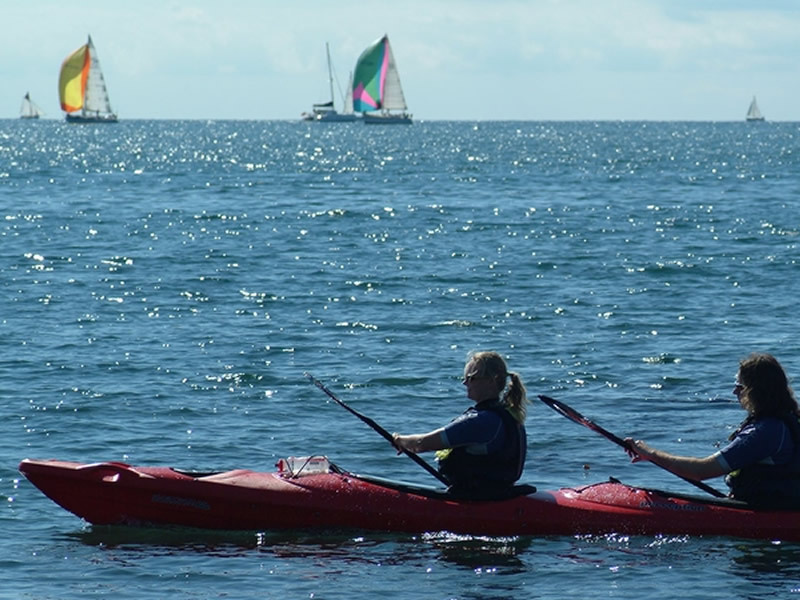 Salcombe offers a great variety of activities which can be enjoyed by all ages. There are many safe sandy beaches with rock pools to explore as well as lovely bathing. For the more adventurous visitor there is a host of water based activities. The choices are endless and include sailing, surfing, wind surfing, scuba diving, power boat school. If your holiday would not be complete without a round of golf or two head over to Thurlestone where there is an 18 hole golf course with stunning views. If walking is your preferred choice you would be hard put to find more glorious scenery than from the South West Coastal Path which stretches east and west of Salcombe. One particularly good walk is from Bolt Head to Bolt Tail via Bolberry Down ending up at Hope Cove, an old fishing village, where you can enjoy a cream tea or a drink and a pasty in the local pub. 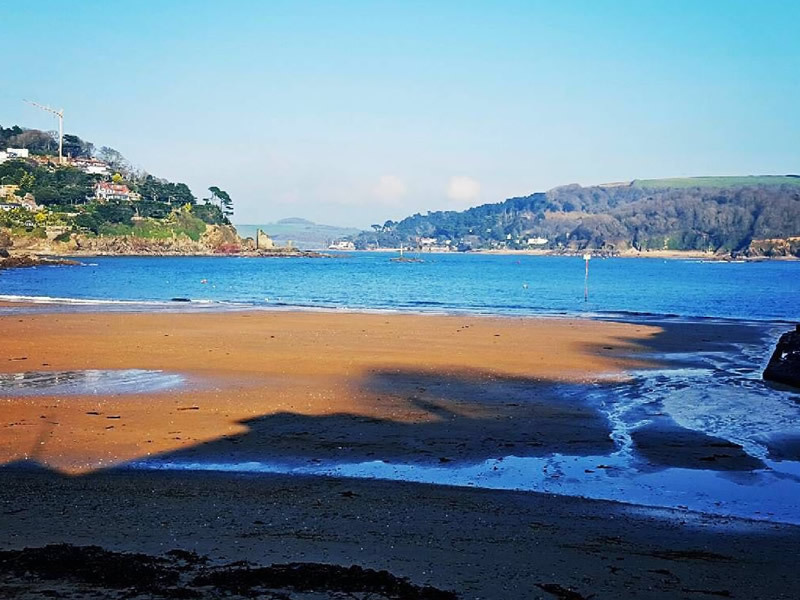 Salcombe and the surrounding area enjoy a particularly good climate with warm summers and mild winters meaning that some of the less hardy plants can survive well. The Overbecks Garden which belongs to the National Trust is a fascinating place to visit with with an excellent collections of plants from all over the world – even bananas grow outside in summer! The adjoining museum, open from Easter to October is a must for both young and old; there is a special children’s room with a daily puzzle. The Maritime Museum, in Salcombe, gives you an opportunity to learn some of the fascinating local history. The Royal National Lifeboat Museum, also in the town, is a great place to see some of the models of past lifeboats as well as learn about some of the great rescues that have been carried out by the local lifeboatmen. The Salcombe-Kingsbridge estuary is a unique environment that provides a variety of habitats, attracting many different species of birds. You often see gannets out past the bar, and within the estuary curlew, oyster catchers, herons and redshank. During the winter months there are great crested and little grebes, goldeneye, red-breasted merganser, golden plovers, dunlin and brent geese. 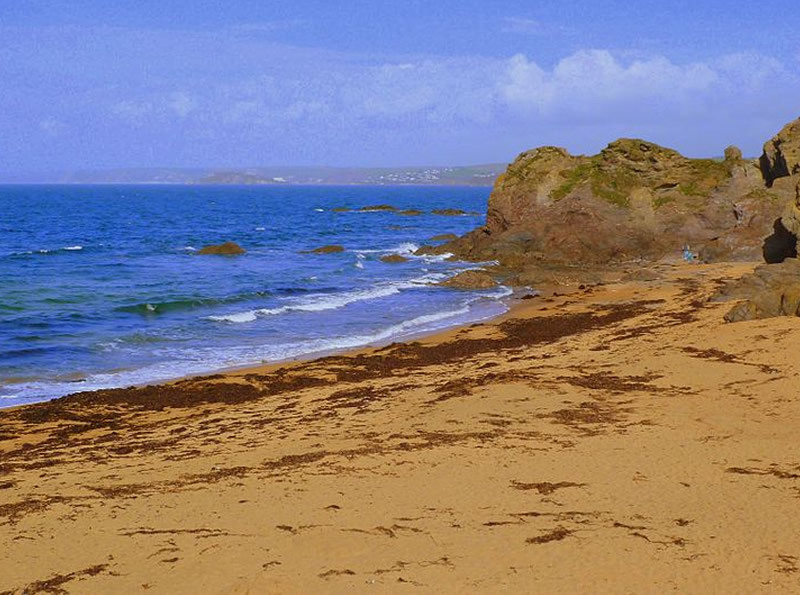 Southsands was the location used for the filming of Agatha Christie’s Poirot in Peril at End House and Burgh Island and Salcombe featured in Agatha Christie’s Poirot in Evil under the Sun. Being so close to the water you would expect to be able to taste some of the delights of the sea. There is a good range of places to eat and we have listed our recommendations for eating places as well as useful links to some of the activities available in our Recommendations page. When returning home do call in at The Church House Inn, Rattery, near South Brent, TQ10 9LD. This is a beautiful old local pub just off the A38 which provides excellent food, friendly service and a pretty garden. www.thechurchhouseinn.co.uk, tel 0136462220. When you are away you might like to use the services of Animal Aunts to look after your pets www.animalaunts.co.uk. Visiting the Wimbledon Tennis Championships and need accommodation? www.wimbledonhomesb-b.co.uk.